WoWtickets.football (the “Website”) website is fully owned and operated by A.D. Events & Me Ltd (the "Company") with its headquarters located in 81 Griva Digeni Ave., Larnaca, Cyprus. The Company's contact details are published at the "Contact us" function of this website. Words denoting the singular number shall include the plural number and vice versa; words denoting the masculine gender shall include the feminine gender; words denoting persons shall include corporations, partnerships and other corporate entities. The headings in these terms and conditions (the "T&C") are included for ease of reference, and will not affect its interpretation. The following T&C constitute a legal binding agreement between the Customer and the Company with regard to the access and use of this Website. By accessing, browsing and/or using this Website, you acknowledge that you have read, understood, and agree, to be bound by these T&C and to comply with all applicable laws and regulations. If you do not agree to these T&C, do not use this Website. You hereby certify that you are of legal age to use this Website and legally competent and duly authorized to do so. As a condition of your use of this Website, you undertake not to use this Website for any purpose which is unlawful or prohibited by these T&C. You may not use this Website in any manner that could damage, disable, overburden, or impair any server, or the network(s) connected to any Company server, or interfere with any other party's use and enjoyment of this Site. The Website obtains tickets on the secondary market and the prices listed on this website are reflecting the degree of difficulty in obtaining these tickets. The Website is not connected to or affiliated with any box office, or sponsored by any of the venues, teams, performers or organizations whose tickets this website provides. The term "Tickets" will carry the definition of an entry or admission for an event. The term "Customer" will carry the definition of any person or legal entity that contract with The Website to supply that Customer tickets to events as published in The Website. The term "Communication" means any communication between The Website and the Customer whether by email, text message via mobile phone or website and/or facsimile machine and/or via live instant text messenger or live text chat service and/or sent by regular mail or post service and/or via courier company or any other electronic or physical printed document. The term "Confirmation" means a signed approval of the booking made by a Customer that will be communicated to the Customer by The Website via email address which has been provided by the Customer once placing an order. 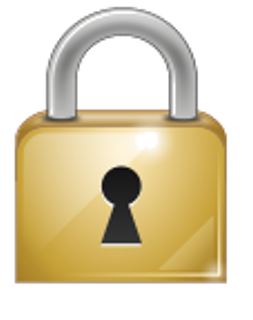 A Customer will need a username and password to access certain areas of the website. Maintaining the security of your username and password is your responsibility, and the Company will not be held responsible for any action taken under your username or password. The information available through this Website may include, but is not limited to, photographs, images, illustrations, (collectively referred to as the "Content") is protected by copyright pursuant to the applicable international copyright laws. You acknowledge and understand that the Company and the information providers that make their materials available to you via this Website retain all rights and title to any and all intellectual property rights existing in such materials. You agree to abide by all additional copyright notices, information or restrictions appearing on protecting any part of the Content. The Content is protected by copyright pursuant to the applicable international copyright laws. You acknowledge and understand that Company and the information providers that make their materials available to you via this Website retain all rights and title to any and all intellectual property rights existing in such materials. You agree to abide by all additional copyright notices, information or restrictions appearing on any part of the Content. The Customer agrees not to copy, sell, publish, reproduce, distribute, retransmit or otherwise provide access to the content to anyone. However, a Customer is permitted to make one copy of the applicable content for his personal use only. This website may contain and offer, inter alia, links and references to information and resources made available on the web which are not owned and/or controlled by the Company, including without limitation sports events, schedules and tables. Accordingly, you are required to verify all third party information published through this Site. The Company uses great commercial efforts to publish true and correct third party information but cannot be held responsible for any such third party data and you may not rely upon such third party data without independently verifying it. The Company may run advertisements and promotions from third parties on its or its licensors websites. Your correspondence or business dealings with, or participation in promotions of, advertisers other than the Company found on or through this Site, including payment and delivery of related goods or services, and any other terms, conditions, warranties or representations associated with such dealings, are solely between you and such advertiser. The Company is not responsible or liable for any loss or damage of any sort incurred as the result of any such dealings or as the result of the presence of such advertisers on this Site. The Customer can use this Website, including its content, for personal use only. Any commercial usage is prohibited. The customer agrees not to sell, publish, reproduce, distribute, retransmit or otherwise provide access to the content to anyone. However, you are not permitted to use this service for the purpose of regularly providing other individuals with access to Content obtained through this Website. Except as provided immediately above, you may not modify, publish, transmit, participate in the transfer or sale of, reproduce, create new works from, distribute, perform, display or in any way exploit, any of the Content, in whole or in part. Your use of this Website and any Content must comply with any and all applicable laws, rules and regulations. This Website can be accessed from countries around the world and may contain references to the Company’s products, services, and programs that are prohibited in your country. These references do not imply that the Company intends to announce such products, services, or programs in your country. This Website is controlled and operated by the Company. The Company makes no representation that materials in this website are appropriate or available for use in other locations, and access to them from territories where their contents are illegal or prohibited. A Customer who chooses to access this Website from other locations does so, on his/her own initiative and is responsible for compliance with applicable local laws. We reserve the right to prevent the sale of secondary market tickets to UK citizens to matches held in the UK. Booking of tickets will be deemed as done once your order is properly recorded in the Company’s server. Customer`s booking must contain all the necessary information required to enable us to charge your credit card and deliver your tickets in time. Giving false, wrong or missing details may result in non-delivery of tickets and in such case the Customer will be held liable for payment in respect of forwarding and booking charges. Please fill your details accurately. The submission of false personal details is strictly prohibited according to law. The Customer agrees to forward all the necessary information, as may be required for the Company to process and complete the purchase, including without limitation, providing a copy of his/her Passport and/or a photocopy of both sides of the credit card used for the purchase. Once you have placed your order with the Company together with all necessary information needed and an approval has been received from the Customer`s credit card company for executing the purchase, the Company will issue you "Order Confirmation" document with all your transaction details. The order will be considered as finalized once the Customer has either received the “order confirmation” document or if required by the company, have signed the confirmation document and it has been accepted by the company via email or fax. The Company will send you an email confirming your transaction has been finalized once your signed confirmation document has been received and approved by the Company. Once the Company approved to the customer that his/her order has been finalized the order cannot be altered and/or cancelled by you, except in accordance with the possibilities mentioned under the chapter headed “Cancellation of an Order” in Chapter 8D. An order that was not confirmed as finalized will not bind the Company. Customer will be charged as indicated on the website on the time of the actual purchase. Notwithstanding the above, the Company reserves the right to alter prices of items and/or services as displayed on the Website and it may do so in its sole discretion without prior notice. Customers are urged to notice that the price they are charged may be substantially higher than the face value printed on the ticket. Customer should also be aware that in the case he has placed an order in the shopping cart but for some reason he did not complete the transaction on time, his shopping cart session may expire and he will need to do the whole process once again. However, the customer may see that the price for the ticket has changed. Such a scenario might occur due to the natural fluctuation in supply and demand characterizing the secondary ticket market. Customers are urged to notice that charges by The Website are with an additional booking fee per ticket. Unless specified otherwise (i.e. "Away fans section", "[team A]-A/B" in the case of Neutral venues), all tickets offered are for the home section and therefore it is mandatory that the customer will follow stadium guidelines and cannot support in any way the away team - including but not only, waring an away team jersey, cap, scarves, cheering or singling away team hymns or anything that represent the away team and can offend the home supporters, the Company will not be held responsible for any actions taken by officials at the stadiums or any confrontation with home supporters. In addition, the company will not offer any refund or compensation to an away supporter who decided to purchase a home seat despite those warnings. All payments made while purchasing tickets will be made through a valid credit/debit card which can be cleared by one of the lawfully operating credit card companies as approved by the Company or/its credit clearance provider or by bank transfer if such bank transfer is specifically approved by the Company. All orders are final and binding the Customer and cannot be cancelled without the written acceptance of cancellation by the Company and such acceptance of cancellation does not mean that the Customer will receive any refund or part refund. This Website is following the Transaction cancellations policy as stated in the European Law DIRECTIVE 2011/83/EU (Oct 15, 2011) for the protection of consumers in respect of distance contracts, it is clearly written that once a client submits a booking for transport (flight, bus, etc.) or accommodation (hotels, apartments, etc.) or catering or leisure services or leisure events (tickets), the client has 14 days to withdraw from such distance or off-premises contract. Any withdrawal after that period is forbidden and no refund will be granted. The Company keeps the right to cancel an order fully or partially. In such a case the Customer will be refunded within 30 working days. Force majeure - any shortcomings in relation to the execution of the services provided through the Website cannot be attributed to a party should these not be due to the fault of the party or when said party cannot be deemed responsible for them in accordance with the law, the Terms and Conditions or according to generally accepted standards. The Company may invoke force majeure should the Company's shortcoming be partly or fully, but not limited to, the result of war, mobilization, riots, flooding, fire, accidents, strikes, occupations, measures set by the government, non-delivery of required tickets to the Company by third parties and other unforeseen events. In the case the event organizers have postponed a match, no refund will be offered. The tickets for the original date of the event are valid for the rescheduled event. Event date, time or Venue are subject to change - these changes are not connected to The Website but to the official organizer - you are advised to check occasionally the correct date and time and make your personal arrangements for attending the match on the new date and time. We are sorry but no refunds will be made for postponed matches - tickets are valid for the rescheduled event. The Website keeps solely the discretion to issue a refund in such a scenario. Once the Company approved to the customer that his/her order has been finalized the order cannot be altered and/or cancelled by you. In case of a mistakenly wrong category of tickets delivery by the Company, the Customer will be reimbursed with the difference between the categories in accordance with the prices of the tickets as published in the website on the actual date of purchase. In case you have received a better category, you will not be charged with the difference. In the event that tickets which are not adjacent were mistakenly delivered, you will be reimbursed with an amount of 10% - 15% of the price of the ticket paid by you, based on the distance between the seats. If the Company fails to deliver a compatible ticket to the event, due to reasons attributable to it, the Company's only obligation and liability will be limited to a refund up to a maximum of 100% of the ticket price of each ticket not delivered. If the Company cannot provide the tickets for any other reason then the above, a full 100% refund will be issued and a notification will be sent to the customer. The Company will do it's best to give notification in advance. It is the Customer`s sole responsibility to provide the Company with the correct shipping address and/or other details as may be reasonably required by the Company for the accurate and timely delivery of the tickets. The Customer is obliged to inform the Company of the final delivery details or any change of such details not later than one week prior to the event. In cases where tickets could not be delivered due to club regulations, late order or a requested pick up point, the tickets will be delivered up to 2 hours before the match at a designated location. By purchasing tickets at The Website the Customer grants the Company his unconditional consent to deliver his/her tickets through third party companies such as Royal Mail, DHL, UPS, FedEx or with our own local couriers. By post (locally or internationally), a tracking number will forward to the Customer via an email address the customer has provided to the Company on registration. The Customer can browse through the courier's website and follow his/her envelop by entering the tracking number. Please take notice that in case no one is available at the address to sign for the shipment, you will get a "while you were out card" – which means that your shipment is waiting for your collection at the local post office. The Company will not be held liable in a scenario that "while you were out card" has been issued by the post and the Customer failed to collect his tickets from the local post office and the tickets will be considered delivered as agreed. By a private courier - hand delivery to any residency or hotel. Refusal to receive and sign on behalf of the Customer, from any person that was specifically entitled by the customer to receive the tickets on his/her behalf or from any hotel representatives that were specifically entitled by the Customer to receive the tickets on his/her behalf to receive the tickets, and sign with their full name and signature approving they had been given the correct tickets in quantity and category as ordered, will be considered as order delivered as agreed. In such case, the Company will not be held liable for non-delivery of tickets and no refund will be issued by the Company. At a Pick-Up-Point (Aka meeting/collection point) - Occasionally, Customers are seeking to receive their tickets on match day since they are coming only for the match and return back home immediately after the match. In such case or in the case of a late order (in the last 48 hours prior to the match), a pick-up-point will be set for the customer`s convenience. Failure of such Customer to attend the pick-up-point on agreed time will be considered as order delivered and the Company will not be held liable for non-delivery of tickets. The pick-up-point information will be sent to the Customer 24 hours prior to the match via an email address provided by the customer once he/she registered to the website. The company reserves the right to charge a fee of 30GBP or more if a special pick up point needs to be arranged. Pick up points are mostly possible in big cities and on major event but not on every possible city of event. A pick-up-point will be announced no later than the day before the match (with exception of customer ordering in the last minute, in such a case the pick up point location will be communicated as soon as possible) and the details (location address, phone of delivery person in charge and time) will be communicated to the customer. It’s highly recommended that the customer will have a working mobile phone that can receive and make calls. The company cannot be held responsible if there is no way to contact the customer in a timely manner. e-Tickets (electronic tickets sent to the customer digitally via email). Mobile tickets (downloadable tickets to a mobile device such as smarphone or tablet) - instruction with ticket details and a link for downlaoding an app to a mobile device is sent to customer's email address. The ticket can be presented at the gate by displaying it on the designated ap provided by the event organizer. Stadium Collection - some tickets are to be collected from the stadium only - usually with a proof of ID or voucher. Full details and instruction will be sent to the customer prior to the match. The Website guarantees to deliver the Customer`s tickets in a secure & safe manner and on time for the match, due to late release of the tickets we dispatch the tickets usually 3-4 days prior to the match but no later than 1-day prior the match to ensure their arrival at the Customer`s shipping address up to 24 hours prior to the match. Admission tickets for events which are being sold at this website can come in the form of E-Tickets in which case the tickets will be emailed to the Customer to the email address he/she has provided the company on his/her registration process. Once emailed to the Customer email address the tickets will be considered as delivered. Tickets might also be in the form of paper tickets or member cards (plastic cards). Member cards will always carry the card holder name printed on them. Once a Customer has received such member cards he/she must abide to the instructions that are accompanied with these cards. The instructions are including the details of the actual seats at the ground, (i.e. turnstile/block, row & seat number), instructions on how to use the member cards, where and how to return them and an emergency contact number should any problem arises. The Company shall not be held liable if a customer is being denied admission to an event except insofar as the denial is due to a willful misconduct of the Company. The Customer is attending the venue on his/her own risk. The Company shall not be held liable for any damages that the customer may suffer while travelling from or to the venue or to any damages the customer may suffer while attending such a venue. It is the Customers` sole responsibility to obtain the correct venue address, dates, kick-off time and pick up details of the tickets. The Customer will not be provided with replacement tickets in the event of lost, stolen or damaged tickets. Changing Delivery Details - it is possible to email our delivery team a new delivery details, but they will be changed only if being confirmed by the delivery manager especially if the delivery is in progress or that there are some restrictions on the delivery method and/or time. Problem Solving and Emergencies - all customers are being asked to follow instructions and guidelines provided to them with the delivery and or through email/phone/chat. In case a customer faces a problem, it is mandatory that he contact our customer support (via phone, chat or email) and report it immediately so our delivery team can intervene and assist. If the problem has not been reported on time and the company has not given the opportunity to fix the problem. category “Single ticket” is a category that offers an individual/not consecative/not side by side ticket, purchasing multiple single tickets does not mean that those tickets are together (side by side) - those tickets are separated (alone/not together/not consecative). Categories specified “3 or 4 together” - those categories guarantee that the seats will be in groups of up to 4 together - i.e. if order quantity is 3 - those will be 3 seats together (side by side), if order quantity is 4 - those will be 4 seats together (side by side), if order quantity is 5 we will provide at least 4+1 unless otherwise promised by one of our sales agents in writing. On all other categories, we promise at least seating in pairs. Right now, this option is not available unless explicitly specified in your booking. It is the Customer`s sole responsibility to be abide by the rules, regulations, policies and a code of conduct established by the local authorities and/or event organizers. The Company shall not be held liable for any damages that you may incur if denied entry or expelled from the event by the local authorities or the organizers. Except as expressly provided otherwise in a written, whether express, implied, statutory or otherwise, agreement between the Customer and the Company, this website, and all materials and services accessible through this website, are provided on an "as is" basis. The Company, to the fullest extent permitted by law, disclaims all warranties including but not limited to the implied warranties of merchantability, non-infringement of third party’s rights and fitness for a particular purpose. Some states or jurisdictions do not allow the exclusion of implied warranties or limitations on how long an implied warranty may last, so the above limitations may not apply to Customers residing in these countries. The Company makes no warranty that the website or the services provided via the website will be uninterrupted, timely, secure or error free, or that the Website or any of the services, information and content provided thereby or via the applicable servers are free of viruses or other harmful components. Although the Company uses reasonable attempts to exclude viruses or the like from this Site, it cannot ensure such exclusion. the Company assumes no responsibility, and shall not be liable for any: (i) damages to or viruses or the like that may infect your computer equipment or other property on account of your access to or use of or browsing of this Website or your downloading of any material, data, text, images or other from this Website and no liability is accepted for viruses or the like. Please take all appropriate safeguards before downloading information from this Site; and (ii) any damages and/or losses resulting from your unverified reliance on information provided to the Company by third parties. To the fullest extent permitted by applicable law, under no circumstances shall the Company or any of its subsidiaries, affiliates, stockholders, directors, officers, employees, licensors or suppliers (the “Company parties”) be liable, jointly or severally, to you or any other person as a result of the customer`s use or access the website or any content appearing via the website and related service for any indirect, consequential, incidental, special, punitive or exemplary damages, including, but not limited to, damages for loss of revenue, profits, use, data or other intangibles (collectively, the “excluded damages”), whether or not characterized in negligence, torts, contract or other theory of liability, even if any of the Company parties have been advised of the possibility of or could have foreseen any of the excluded damages, and regardless of any failure of an essential purpose of a limited remedy. If any applicable authority holds any portion of this section to be unenforceable, and then the liability of the company parties shall be limited to the fullest possible extent permitted by applicable law. Participation in forums or the like in various related topics made available through the website will be governed by the "Forum and Participation Guidelines" section referenced below. The Customer agrees to indemnify, defend and hold harmless the Company, its officers, directors, employees, agents, licensors, suppliers and any third party content providers to this website from and against all claims, losses, expenses, damages and costs, including reasonable attorneys' fees, resulting from any violation of these Terms by you. The Company will be entitled to terminate the contractual arrangement with you, in its sole discretion and without giving prior notice. Upon termination of the contractual arrangement and/or the cancellation thereof, you are required immediately to cease making use of this Site. The Company reserves the right to seek all remedies available at law and in equity for violations of these Terms, including but not limited to the right to block access from a particular Internet address to this Website and any other provider and their features. The T&C are governed by and construed in accordance with the laws of Cyprus and any action arising out of or relating to these T&C, which the parties are unable to amicably resolve between themselves within 30 days, shall be exclusively referred to arbitration in Cyprus in accordance with the Rules of Conciliation and Arbitration of the International Chamber of Commerce by one arbitrator appointed in accordance with the said rules. Said arbitration shall be conducted in English and the arbitrator shall be obligated to reason his decisions. These Terms constitute the entire agreement between the Customer and the Company with reference to this website. Use of this website is unauthorized in any jurisdiction that does not give effect to all provisions of these T&C, including without limitation this paragraph. In the event any provision of these T&C shall be deemed unenforceable, void or invalid, such provision shall be modified so as to make it valid and enforceable, and as so modified the entire T&C shall remain in full force and effect. No failure or delay in exercising any right, power or privilege hereunder shall operate as a waiver thereof, nor shall any single or partial exercise thereof preclude any other or further exercise thereof or the exercise of any right, power or privilege hereunder. The Website/Company reserve the right to alter, update or otherwise change this Terms and Conditions at any time. Any such changes will be posted on this page. You should periodically check this document to review the current terms and guidelines applicable to your use. Your continued use of the Website following the posting of such changes will indicate your full acceptance of those changes.